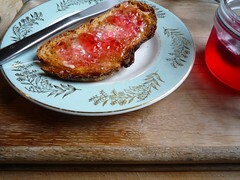 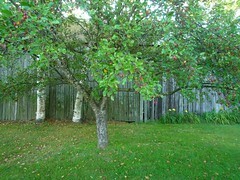 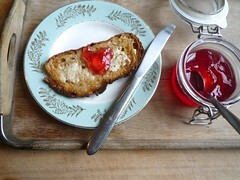 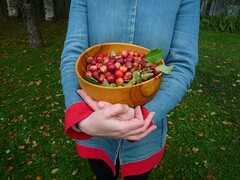 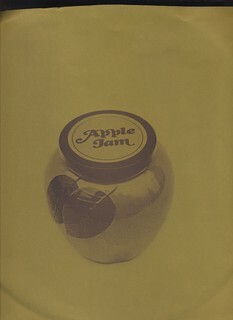 , Michelle makes large quantities of crabapple jelly to serve with terrines, mousses, and pâtés. 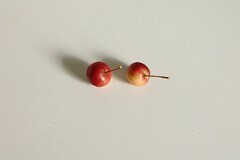 With these crabapples, she makes small batches of jelly to spread on our toast. 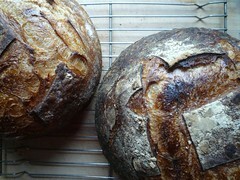 Either way, the method is essentially the same.